Direction Takers believe their physician is the most credible resource for their healthcare needs. Direction Takers like to “cut to the chase” and do not like to be asked a lot of questions; they look to their physician and other healthcare professionals for direction and guidance because of their expertise and credentials. 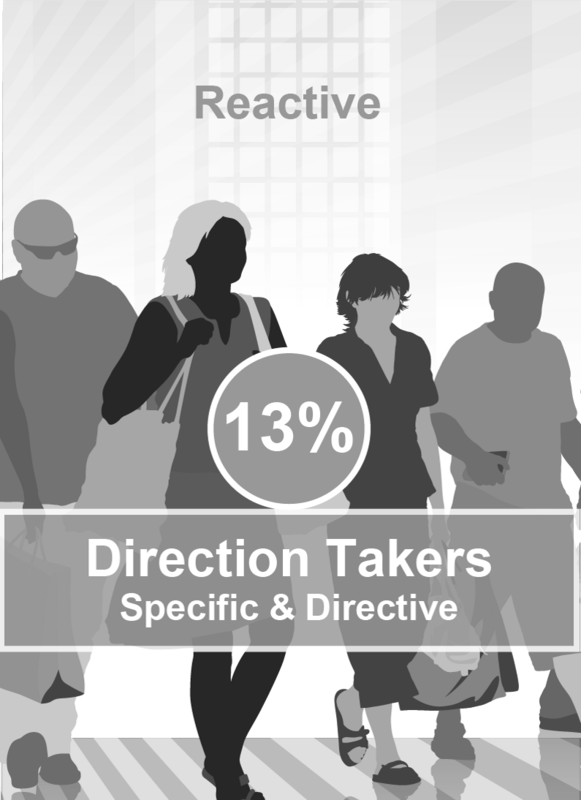 Direction Takers are more likely to go to the doctor at the first sign of health concerns. However, Direction Takers may not always follow a physician’s advice – not because they disagree with his/her recommendations, but because it is often difficult to work these recommendations into their routine. Self Achievers are the most proactive when it comes to their wellness, investing what is necessary for their health and appearance. They stay on top of health issues with regular medical check-ups, screenings, and research. Motivated by goals and achievement, Self Achievers will tackle a challenge if they are given progress measures. 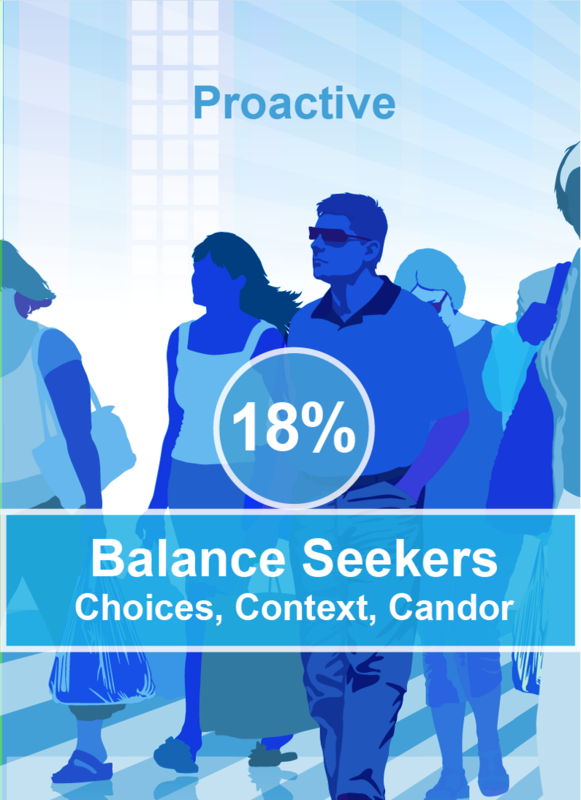 Balance Seekers are generally proactive in their health and are wellness-oriented. They are open to many ideas, sources of information and treatment options when it comes to their healthcare. Balance Seekers themselves – not healthcare professionals – define what success looks like in their health. Having choices is very important for these types. 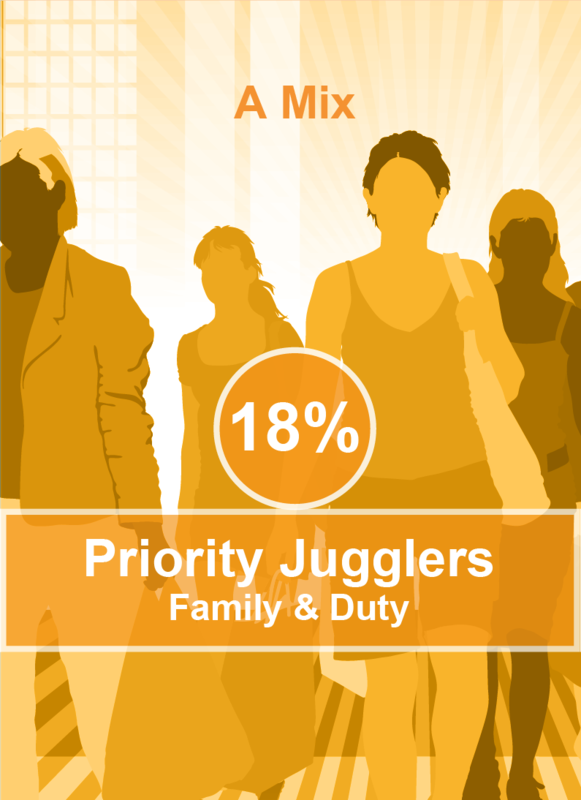 Priority Jugglers are very busy with many responsibilities. Because of these commitments, they may invest in their own wellbeing and are reactive when it comes to their own, personal health issues. However, Priority Jugglers are very proactive when it comes to their family’s health and will make sure their loved ones receive the care they need. Direction Takers believe their physician is the most credible resource for their healthcare needs. They look to healthcare professionals for direction and guidance because of their credentials. However, Direction Takers may not always follow advice, not because they disagree, but because they have trouble incorporating them into their daily routine. 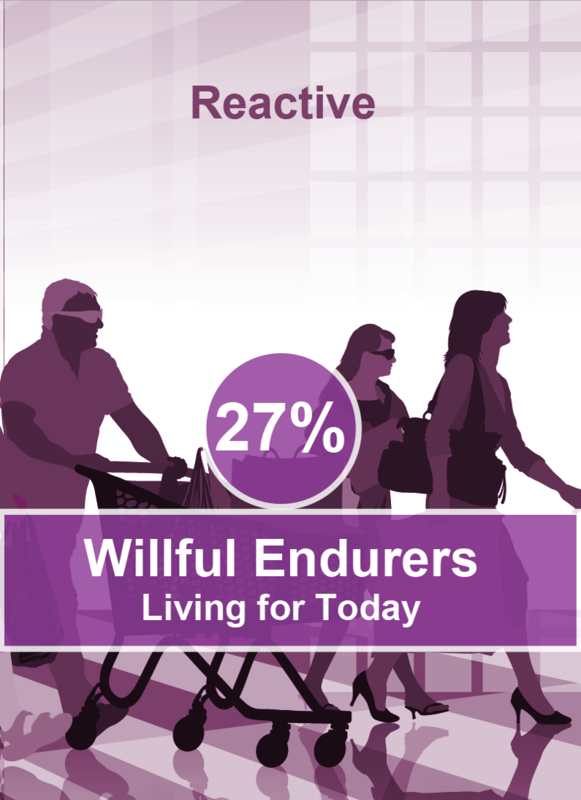 Willful Endurers live in the “here and now” and believe there are more important things to focus on than their health. They are not necessarily unhealthy, but they do what they like, when they like, and have a difficult time changing habits. They are self-reliant and can withstand anything life throws at them, going to the doctor only when they must.